I can still remember spending summer days absorbed in a tale of nine friends who went trick-or-treating. What should be just another Halloween night turned into a journey through time when one of the boys, Ripkin, is held hostage. Together, they try to rescue their friend as they travel across the ages, tracing the origins of a holiday they celebrate but know nothing about (sounds like a lot of us?) -- from the ancient Egyptians to the Celtic Druids. The boy, Ripkin, is rescued but an interesting barter is first arranged (I won't squeal it for the benefit of readers who may want to dig up this classic). I've lost my pocketbook of "The Halloween Tree" but I remember it with fondness as it opened my mind to the genius of master storyteller, Ray Bradbury. In The Martian Chronicles, he wrote of an earth on the brink of destruction, of people escaping to Mars to start life anew but bringing along the baggage of human nature -- the need to conquer and survive. For Fahrenheit 451, Ray spun a tale of a future society where technology rules, information is fed to the masses and books are banned. Firemen like Guy Montag are heroes for keeping the people from the dangers of reading, that is, until Guy picked up the habit of reading what he ought to burn. 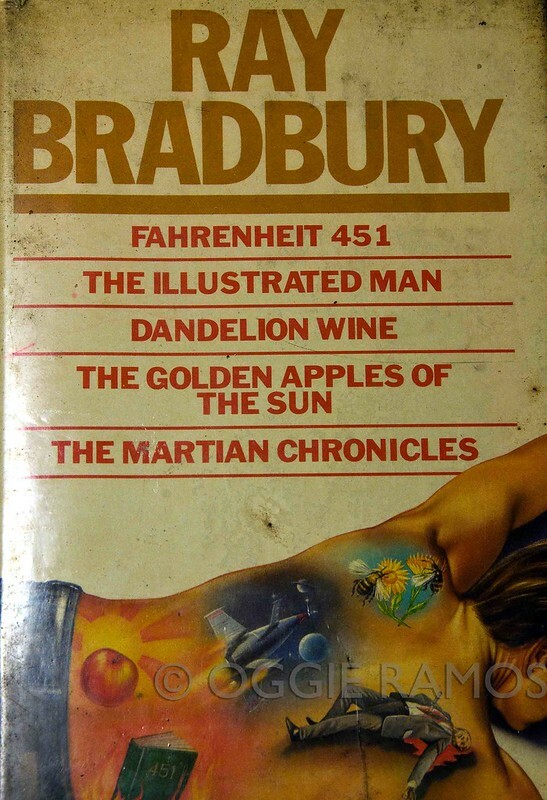 As a sci-fi visionary, Ray Bradbury soared with visions of mechanical hounds, wall-to-wall televisions and Mars-bound rockets way before such technology was even conceivable. As a storyteller, he has a gift for weaving storylines that intrigue and tales that hook the reader. As a writer, he is a level-headed human being who was quoted in a CNN feature as saying "It's a God-given thing... The best description of my career is... 'at play in the fields of the Lord.'" Towards the closing pages of Fahrenheit 451, one of the protagonists, Granger, told the fireman, Montag, "Everyone must leave something behind when he dies, my grandfather said. A child or a book or a painting or a house or a wall built or a pair of shoes made. Or a garden planted. Something your hand touched some way so your soul has somewhere to go when you die, and when people look at that three or that flower you planted, you're there. It doesn't matter what you do so long as you change something from the way it was before you touched it into something that's like you after you take your hands away. The difference between the man that just cuts lawns and a real gardener is in the touching. The lawn cutter might just as well not have been there at all; the gardener will be there a lifetime." Ray left us hundreds of stories, a garden of tales that will be here long, long after the gardener has gone, off to the fields of the Almighty. i don't have too much time for reading right now but i'll keep this in mind. his writing sounds interesting. I am not sure how many of his books I have read, but he is truly a great loss, but he was a very effective writer.